Welcome to Spa and Equipment... With over 15 years of spa and salon supplier experience in the aesthetic equipment and beauty industry our commitment is to bring our clients not only the excellent quality of our spa and salon supplies but also our outstanding customer service. 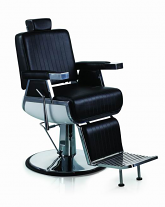 Spa and Equipment is one of the main wholesaler to all suppliers in United States. By working with our company directly, you will eliminate the middle man and save hundreds if not thousands of dollars on your orders. We match and offer better pricing in comparable items from all other companies in Unites States. At Spa and Equipment, we own and operate our very own salon and spa; therefore we know how extremely vital it is to have quality massage equipment, skin care products and salon supplies in order to have a great continues business and satisfied customers all the time. At Spa and Equipment, we offer all of the quality, expertise, and customer service you need from your spa and salon supplier. We offer warranty on our products and our outstanding customer service team will help you with any questions that you may have for our products; therefore we are confident that you will be very pleased with any equipment you purchase from SpaandEquipment.com. We are also constantly adding the latest and the most recent technology to our line of products. We have a great merchandising team and they always research and discover the best product and equipment in spa and salon industry. At Spa and Equipment, you will find the best spa and salon equipment such as microdermabrasion machines, facial steamers, oxygen machines , facial supplies, Massage Chairs, and Massage Tables. As one of the leading spa and salon suppliers in the country, we are a self-contained one stop shop for all your spa and salon aesthetic equipment and products with unparalleled selection. We welcome you to our SpaandEquipment.com and please join our list of thousands of happy and satisfied customers. Not only we offer the best quality aesthetic equipment and spa products on the market, our prices are highly competitive as well. We can save you hundreds of dollars on new electric facial beds, manicure tables, pedicure chairs, led light therapy systems , nail salon equipment, massage tables, spa supplies, aromatherapy supplies, facial and massage therapy, aesthetic tables, facial steamer, a diamond microdermabrasion system, or even a crystal microdermabrasion machines. Please take a few minutes of your time today and become a Spa and Equipment member to receive the best deals on salon and spa equipment and products; including private sale specials, exclusive coupons and other money saving deals from our wonderful selection. The diamond microdermabrasion (crystal-free) system replaces the micro-crystal flow with a diamond tip wand. Areas closer to the eyes and mouth can be abraded more accurately with diamond abrasion (no risk of stray crystals causing damage or being ingested). Crystal Microdermabrasion: a procedure that uses fine crystals and a controlled vacuum to exfoliate the skin. After the treatment, the skin has improved texture and softness, as well as fewer imperfections such as wrinkles and acne scars. The skin is washed to remove excess oil and dirt. Then, a stream of aluminum oxide crystals is targeted over the area. The crystals abrade away old, dead skin cells, which the vacuum then picks up with gentle suction. This promotes the growth of collagen and new, rejuvenated skin. Moisturizers and sun block are then applied to the treated area. Monet 4 Motor Bed with hidden wheels to move easy. Introduced from the oxygen system from MC Company in Switzerland, this machine can concentrate the oxygen with 98% purity from the air and insufflate it into deep skin tissue with 2 Bar Pressure. It stimulates the cell metabolism effectively, makes cells absorb the oxygen thoroughly and improves growth of new cells, thus the skin looks younger, healthier, more smoothly and shiny. Adopting the most advanced technology. Pressure Swing Adsorption(Short for PSA). Under the normal condition, while the machine starts working. Nitrogen and other gas in the air is attached by the molecule bed from Air Compressor and only oxygen with over 90% purity left. 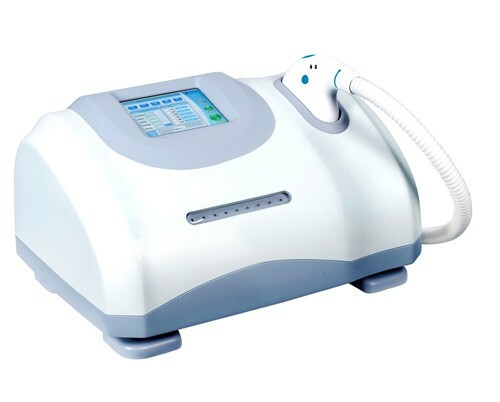 With the function of Breathing, Blowing and Spraying Oxygen, this machine performs an excellent work on protecting skin from turning aged and dim.